This entry was posted in False Flag, Globalism and tagged 9/11, Conference, Cynthia McKinney, investigation, Michel Chossudovsky, Montreal, truth, Wayne Madsen. Bookmark the permalink. Thank you, Truthergirl & friends! Been reading your entries/videos from time to time! I’m an alter-globalist -I won’t be sidelined by fear-It’s going to happen anyway we just can not drop out! I’ve been researching 9/11 for almost half a decade now, and as much time and effort as I’ve spent trying to uncover the thoroughly buried truth, I’m still stumbling upon well-articulated theories that truly make my head spin. Glad to see an event that is contributing to the airing away of the smokescreens! Might not be able to make the conference but wish to make contact with Mahdi Nazemroaya (we are all glad he is home safe). 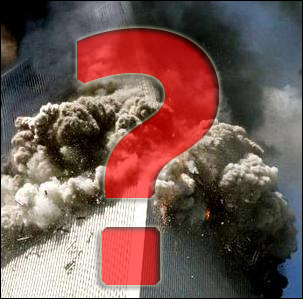 You should bring attention to all the censoring that is going on on Youtube about 9/11 and other topics. None of my comments can be seen now after taking to someone about things like the passports of the hijackers being let in with incomplete info and in at least 1 case a military base being listed as the place where they would be staying, this from people on the “watch lists”. Why would people on a watch list be allowed to stay on base ? After that comment, nothing else I type can be seen on YT ! I can see if but if I sign off, the comment is invisible, and is invisible to everyone else. The passengers on the planes equal 33% capacity average, why would planes fly 67% EMPTY ? Flight 93 20% full, 80% Empty. If the economy was bad,they would fly 1 plane with all the people instead for example. Book the people to other flights, not fly mostly empty planes. The gold heist that day clearly took planning. The filming of the 1st attack too planning. These people were let go, why ? The trucks with explosives PAINTED WITH THE ATTACKS were painted BEFORE IT HAPPENED. And the people were let go after the truck exploded too ! The WTC7 and the police saying,”get back they are about to BLOW IT UP”, clearly too planning. Pass these facts on to other people. Use the easiest to prove 1st, then more complicated things like the collapses later. Otherwise you won’t get that far. You are running with media hearsay as evidence. You must first start with the physical evidence and move forward from there. The video footage was of CGI planes, from all different angles. Even the Naudet brothers convenient video, was fake. Most Americans just dont have the critical eye to see it. There wasnt any verifiable congruent plane wreckage, anywhere. Despite what they told you.